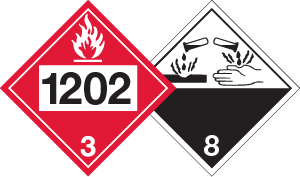 In addition, since non-compliance within the various regulations of hazardous materials can be costly due to fines and rejections, shippers and end users simply prefer UN packaging in order to comply with the regulations and maintain an element of safety within the transportation of dangerous goods. Interactive packaging is also emerging as a trend in the global UN packaging market, where labels or QR Codes are being used to track the shipment or provide other types of instructions giving the end user a chance to directly interact with the packaging itself. This is expected to create new opportunities for growth in the UN packaging market as well. On the basis of geography, the global UN packaging market is separated into North America, Latin America, Middle East & Africa, Europe, and Asia Pacific. The North America UN packaging market is expected to continue its dominance throughout the forecast period mainly attributed to well-established end user segments in the region, as Asia Pacific is expanding significantly due to rapid industrialization that has occurred and is expected to continue over the next decade. As this projected trend continues to rise, always remember to contact ICC Compliance Center for your stock, and customized UN Packaging needs.